H8M Fire hydrant close by! In yesterday's post I asked if anyone knew what the H28FT sign posted high up on lamp posts means. Posted in General and tagged signs on Thursday, 8 March, 2012 by Paul. 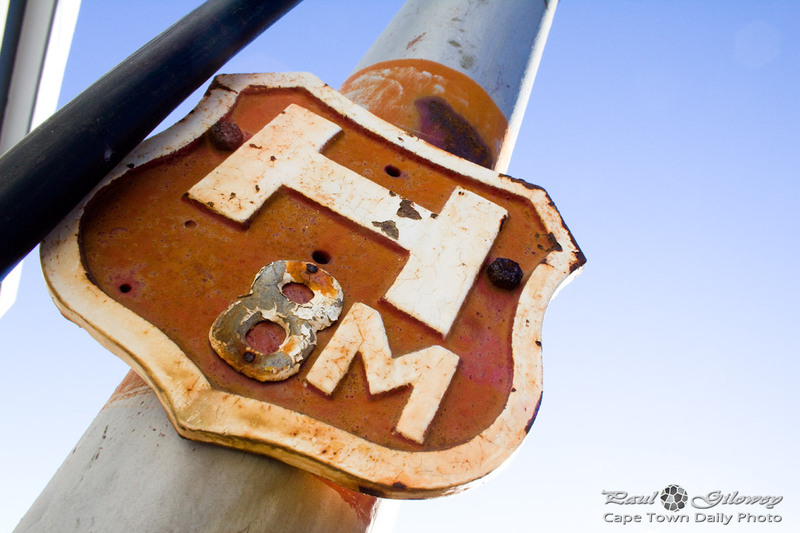 HI IM A FIREFIGHTER FOR THE CITY OF CAPE TOWN AND H8M STANDS FOR : THE H IS FOR HYDRANT AND THE 8M IS THERE IS FIRE HYDRANT 8M IN THE DIRECTION OF THE SIGN. THEN BASED UPON THE COLOUR IT INDICATES WHAT TYPE OP PRESSURE THAT DYDRANT HAS. Hi Ryno, thanks for the info – can you tell us a little more about the colour please? Besides for this red/orange one, what others does one get, and what do they mean? Use only the yellow with black lettering.